When your little ones are afraid of the dentist, it can be hard to know where to turn for high-quality, stress-free care. New York State has plenty of pediatric and family dentists who are working to turn that fear into fun with brightly-decorated offices, toys, and even jungle gyms to play on while they wait for their appointment. Here are 10 wonderful kid-friendly dentists around the state. This charming pediatric dental office, run by Dr. Angie Chin, focuses on providing dental care to young kids and those with special needs. The staff goes out of their way to make trips to the dentist pleasant, with themed rooms and equipment and cheerful attitudes. Focused on providing children with the highest level of dental care, this Nanuet pediatric dental office offers a range of services for kids. From frenectomies to pediatric crowns, La Petite Dent makes kids feel comfortable while they get the treatment they need. Dentist Minoo Buchanan makes trips to the dentist tons of fun. Kids choose the color of their chair and get sunglasses to match, and the waiting room is filled with colorful books, toys, and a built-in jungle gym with a slide. The dentists at Happy KiDDS are skilled at alleviating childhood fears of the dentist. The cheerful staff makes sure to give lots of praise while making kids feel comfortable, and they have experience working with patients who have special needs. Bright, colorful, and cheerful—these words can be used to describe both Dr. Kotlyar and her South Brooklyn dental practice. Kids will be enthralled by the toys and interactive features of the waiting room, and best of all, they get to take a treasure home at the end. Bright, cheerful office décor and a focus on children make Tooth Works a hit with parents on the Upper West Side. Dentists at the clinic are known for their calm demeanors and patience, and for having a way to ease young children’s fears. Parents in the capital region trust Dr. Kanakasabapathi, or Dr. K, to treat the pearly whites of the whole family. Dr. K applies her top-notch skills and patience when providing dental care, explaining procedures every step of the way. This family dental practice near Buffalo is known for being bright, clean, fun, and professional. Dentists on staff make children and parents eel at ease, while kids enjoy toys and movies throughout the experience. Dr. Geri is loved by Hudson Valley kids and parents alike for her friendly attitude and skilled, knowledgeable dental care. 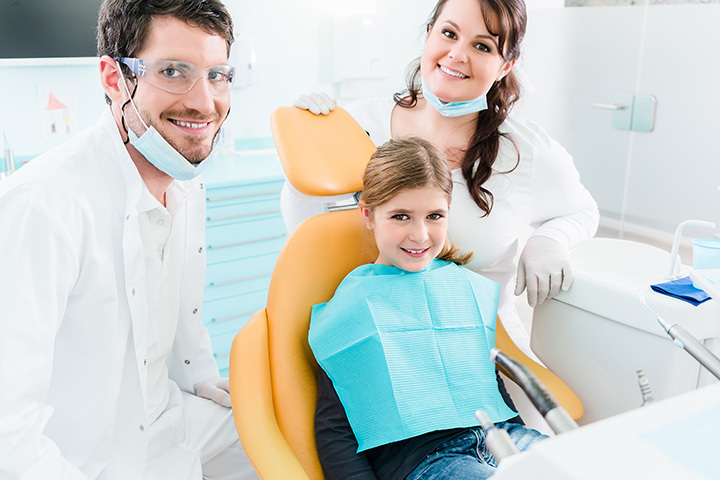 From infants to adolescents, this dentist office provides expert care every step of the way. Parents are continually impressed by LIC Dental Associates. Between the sparkling clean, comfortable office environment and the friendly, dedicated staff’s attention to detail, this is a dental office where kids feel at home.